​Each machine comes with a primary package. ​We can suggest other items you can add on to customize your machine to make it the machine that YOU want. Please take a look at our four available packages below. Machine Accessories Packages on sale this month with the purchase of your machine. To see the machine accessory packages, please see below. Look at each machine and look below the machine and see all that's included in each package. Call a store near you to inquire about the unbelievable deals! 18" Innova Package with Standard Stitch Regulator includes a 10' Pro Frame with EZ Lock roller system. Front Lifting Bar, Starter Kit, Bobbin Winder, Leaders and Artiuculating Sewing Light. 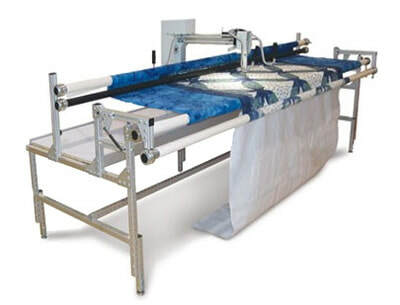 Frame Quilting Space; 15' x 108"
Frame Quilting Space 19" x 120"
22" Innova Package with Lightening Stitch Regulator includes a 12' Pro Frame with EZ Lock roller system, Front Lifting Bar, Starter Kit, Bobbin Winder, Leaders and Articulating Sewing Light. 22 Innova Longarm with Standard Stitch Regulator and Navigator. Package includes a 12' Pro Frame with EZ Lock Roller system, Front Lifting Bar, Starter Kit, Bobbin Winder, Leaders and Articulating Sewing Light. 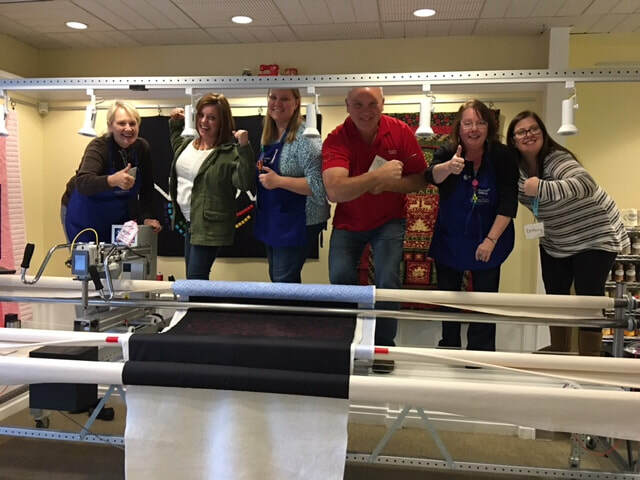 Frame Quilting Space: 19" x 120"
Frame Quilting Space: 23' x 120"
Suggested Space: 8' x 14"
We also offer Pantovsion, AutoPilot, Navigator and Sequin Stitcher. 26" Innova Longarm with Lightening Stitch Regulator and Mach 3. Package includes a 12" Pro Frame with EX Lock roller system, Front Lifting Bar, Started Kit, Bobbin Winder, Leaders and Articulating Sewing Light. 1) Do I have to buy the package as is? No. Each package has the ability to be changes and shaped to suit your needs. 2) Do these prices include any specials? The price of the package is MSRP. Please talk with a sales associate to find the package and the price that will best fit your needs. 3) What is my estimated delivery time? As you can see, we build each package to the customer's needs. We work with you to set up the delivery schedule that best fits your needs. 3) What size of frame do I have to have? You can purchase any frame you wish up to 12'. It can be cut down to fit your particular space. You can even purchase up to a 14' frame for an additional fee. You should have 2 feet of walking space on each side of your machine. 4) Can I add onto a package later? You can add any options that you would like to have at any time to any of our machines. 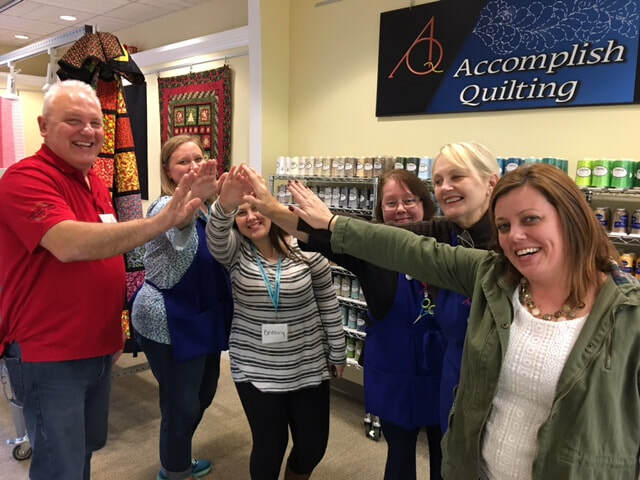 Work with a winning team! This team will make sure that you get the deal that you want, the products or machine that you want, the classes that you want and need, maintenance or service that you want and GREAT customer service in your entire experience in the buying phase and thereafter!